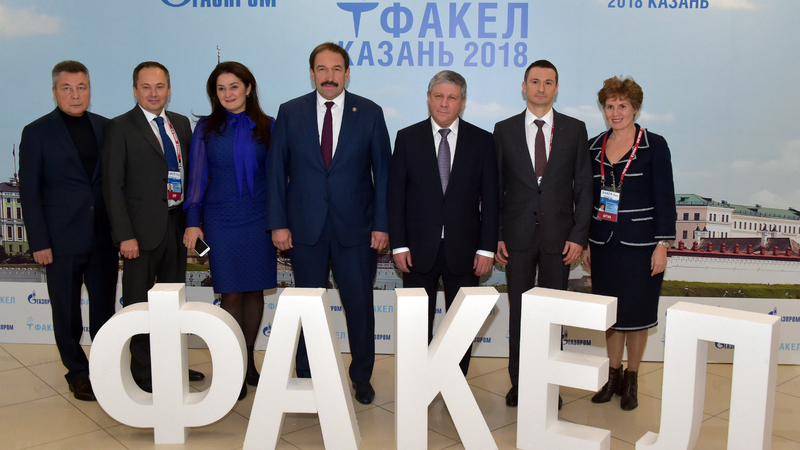 On October 14, in Kazan, Tatarstan Prime Minister Aleksey Pesoshin took part in the opening of the regional round of the 8th Gazprom Corporate Fakel Festival. Amateur ensembles and performers from subsidiaries and organizations of Gazprom will perform at the festival. In his welcoming speech, Pesoshin noted that this is the second time the festival has been held in Kazan. The first event took place in 2006. The Prime Minister of the republic reminded that in 2003 senior managers of Gazprom supported the proposal of the labor collective to hold such an event. “Over the years, hundreds of unique talents have been unlocked in your large and friendly family of gas workers. Due to the highest level of preparation of artists, the festival of amateur ensembles has become a significant nationwide cultural event,” Pesoshin said. “I sincerely hope that the festival will become not only an occasion to demonstrate your creative abilities, but also give you a warm atmosphere among like-minded people,” he added. The regional round will be held in the capital of the republic from the 14th to the 20th of October. About 1,000 representatives of different ages from Gazprom subsidiaries and organizations from 19 Russian regions, Belarus and Kyrgyzstan will take part in the event.